Even though Yahoo’s future is indefinite, the number of users they once had never decreased by a huge margin. Yet Another Hierarchical Officious Oracle kick- started its journey before even today’s search engine giant Google was established. 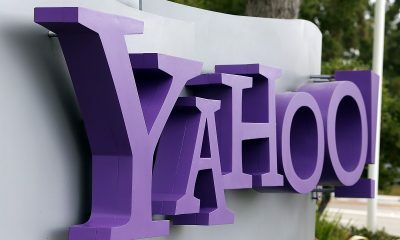 But in the long run, Yahoo wasn’t ready to bring up changes and new features that entice users. 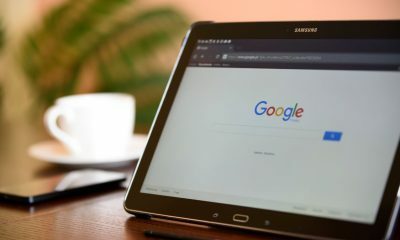 As a result, they have lost the charm and Google at the same time accumulated a huge number of new users to be the number one search engine in the world. Today, I am here with an article on how to contact Yahoo. Most of the people try to contact Yahoo to get their issues solved. Truth be told, you don’t have to contact them for most of the Yahoo services issue as their website features the solutions. In this section, I am going to show how you can solve issues related to Yahoo solved without contacting them. Step 1: At first you need to visit Yahoo Help Central. Don’t roam around for the links to the page. Click here and you will be there right away. Step 2: You can grab Yahoo technical help from here. The process of getting help from here is not complicated. As the solutions to most of the problems are provided here, you don’t have to contact Yahoo customer care. Just scroll down the page and you will see something like the image given below. Step 3: Choose one service with which you are facing the problem. Step 4: I have chosen mail here. If you can’t find the exact service there, simply click to see all products to get a list of entire Yahoo products. On the next screen, you will be provided with a bunch of options and articles. They have got a lot of articles on how to solve the most probable errors. From there, you can search for your problem and get it solved by referring the given content. Note: – Yahoo, in their customer service help page, clearly mentioned that Yahoo mail support or any other product support is not a paid service. You don’t have to pay them even a single penny and you don’t have to give them the password or access to the account as well. If anyone claims to be their customer care executive and asks you any of the above, then they won’t be on genuine customer team. Most of your issues will get solved with the above-given methods. You can resolve your issues through their forum as well. Yahoo forum is a community of legitimate users where you can post your problems, and other users will try to solve it with their knowledge. Click here to visit Yahoo forum. You can access already published threads without any hassle. But in order to start a new discussion, you should be signed in. Yahoo offers some other methods to contact them as well. Check them out below. They have official social media profiles through which you can contact Yahoo customer service. Here, I am going to show how you can contact Yahoo via their social profiles. Step 1: Follow the step 1 I have given in the above method. That means you have to visit the Yahoo help central webpage. Step 2: Look closely to the top right portion of the screen and you can see five buttons there. The three buttons in the middle bring you to different social media profiles of Yahoo. So, click on one you want to go with. Step 3: I have selected Facebook here. As you can clearly see in the image, there is a Yahoo Contact us CTA button on the Facebook page. Hence, you can use it to contact Yahoo customer care. If you choose to go with Twitter, you can tweet them with your issue or whatever you want to convey with them. Apart from the customer care Twitter handle (@yahoocare), you can contact Yahoo on Twitter using the official handle @yahoo as well. Considering the number of tweets receiving per day, the first one should be your pick for faster response. We all know that the best mode of communication is phone because we get the outcome instantly. Here, I am going to give you Yahoo customer care number. Actually, it is not Yahoo support phone number as they don’t offer customer support via phone. But you can give it a try even if it is not Yahoo mail customer service number. I have got two phone numbers here; one of them is toll-free and you will not be charged anything for calling that number. The above two may work out as yahoo help phone number. In case you hear them asking for your credentials or account access, you should hang up the call right at that moment. See the image given below. 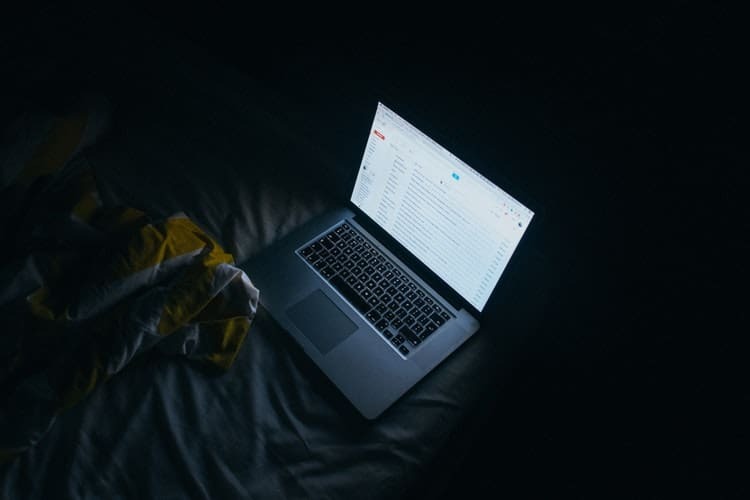 Another method people usually use to seek support from service websites is emailing. You send them an email with your queries and hopefully, they will get back to you with the solutions. They have only one customer care email that I have found online. cc-advoc@yahoo-inc.com. Unlike the phone number, this email really offers you technical help. But due to the higher number of emails they are getting daily, you may have to wait some time, most probably days. In any case you want to visit Yahoo headquarters, here is the address. I think you have got almost all the methods to contact Yahoo. Don’t You Know How to Contact Yahoo Now? I hope you can now contact Yahoo technical support team without staggering. 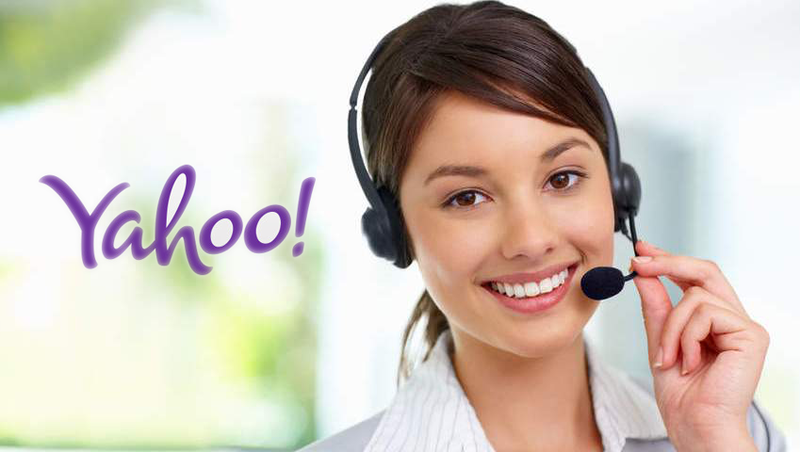 You have got about five methods to contact Yahoo customer care. As I already said, I am skeptical about the telephonic Yahoo support. Even though it is an official number of Yahoo, their website says they don’t give support via phone. So, you can use that number to contact Yahoo for purposes other than customer support. How to Solve Yahoo Mail not Working? How To Open a DAT File? 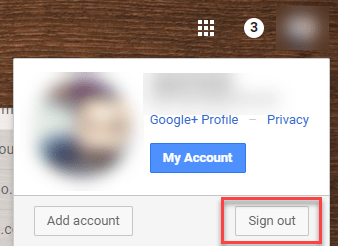 If you have ever made queries on google like how to sign out of Gmail, how to log out from Gmail and so, then my this guide is definitely written for you. Just keep on reading!! Gmail is indeed one of the best email services by Google which is also free. We receive hundreds of emails but not every mail is important to us. That's why people create the folder in Gmail. If you wanted to create folders in Gmail, must check out. Signing into any website is easy but many people get stuck while logging out of it. Same is the case with Gmail. Nowadays, as sending/receiving emails have become common so is the queries regarding how do you sign out of Gmail, how do I sign out of Gmail, and so forth. 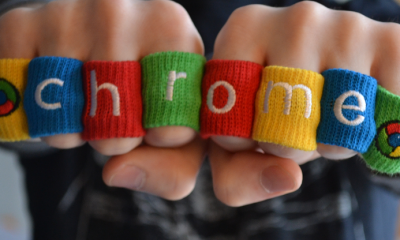 This is the reason I have come up with the article how to sign out of Gmail. 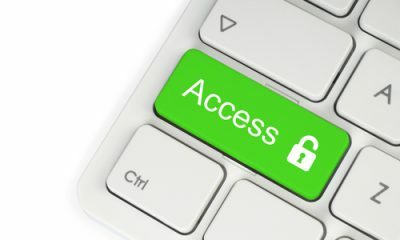 While using public computers like in the cyber cafes, library or college, sometimes we forget to log out our email accounts from the system and we close the browser which is quite un-secure. There are good chances for your account to get misused at any time if someone finds that opened. To prevent such mishaps, it becomes necessary to log out of Gmail accounts we were logged in through. So today, I will show you how can you log out of Gmail in different ways. 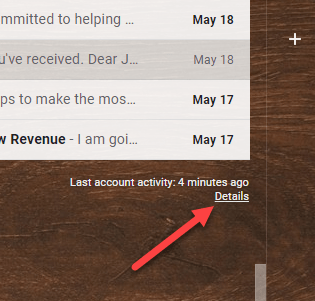 In this article, I will tell you three varied ways to log out of Gmail accounts. When you log in to your Gmail account, at the top right corner you will see a photo of your Gmail account or the email ID. Click on that. Once you click there, you will see a sign-out option there. Click on it and you will be logged out from your Gmail account. Though this option is very easy to navigate through, but if you have any doubt I have mentioned the screenshot as well have a look on that. The preliminary way of signing out from Gmail account is the first method I have shown you above. But sometimes while using the public computer if you missed out to sign out, in such case what would you do? how do you log out of Gmail? 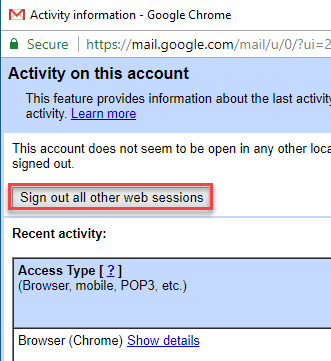 In such case, you can make Gmail sign out by logging out from all sessions at a time. I will show you how. First of all, log into your Gmail account and scroll all the way to the bottom of the page. Below the last mail, you will see an option Details. Click on that. 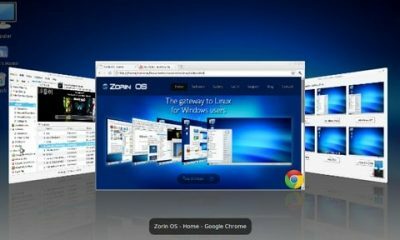 Have a look at the screenshot. Once you click on Details option, a new window will be opened. Here all you have to do is click on the Sign out of all other web sessions button. After clicking on Sign out of all other web sessions, you will be logged out from all the computers except for the one you are online now. This is the best way to prevent other people to use your Gmail account if you have mistakenly left the account open or forgot to log out from the public computer. There are alot of time when we start getting irrelevant emails or spam mail. In that case, you can block those emails on Gmail. If you are an android user and still don't find the way to log out of Gmail then see the below method. To sign out Gmail from your Android phone, firstly go to your Gmail account by entering your email Id and password. Once you are logged in, you will see the main page i.e. main page of the Gmail. Here click on the three horizontal lines at the top left corner. Once done, you will see a screen where you will have to click on the drop down arrow just beside your email ID. After clicking on the drop-down arrow, you will see a new screen where you will see all the email Ids you had opened on your android phone. All you have to do is tap over the sign out of all accounts. And you will be logged out from all the accounts you were signed in. 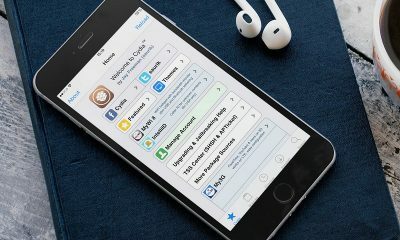 The steps for logging out may vary if you have a different mobile handset, but that would be a slight difference you will find the options easily. These were the different methods to sign out from Gmail account with different places. I hope you found all the ways to log out from your Gmail account and found the solution of your queries. In case you wanted to change your Gmail password, it happens, you can easily change it. See this to Change Gmail password. 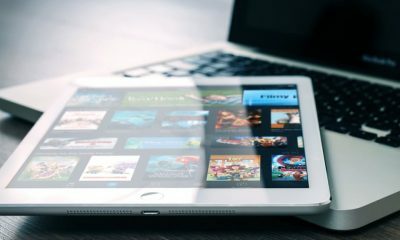 Now, you don't have to be worried if mistakenly you left your Gmail account open on the public area or have opened up your Id on friend's mobile phone. If it is so, simply follow the above methods accordingly and make your Gmail profile secure.